A fine range of modern holiday homes. 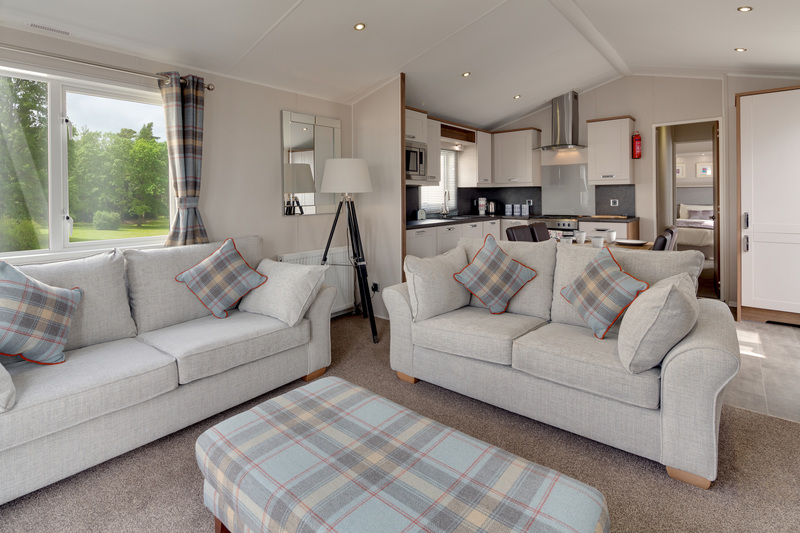 We have a choice of top of the range holiday homes for your break in Scotland. 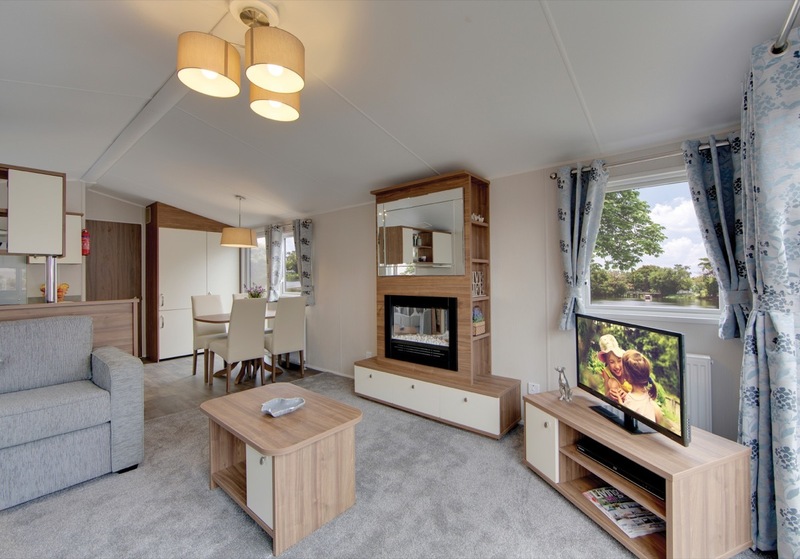 Our holiday homes are carefully sited to offer outstanding views across the spectacular countryside which surrounds the park. 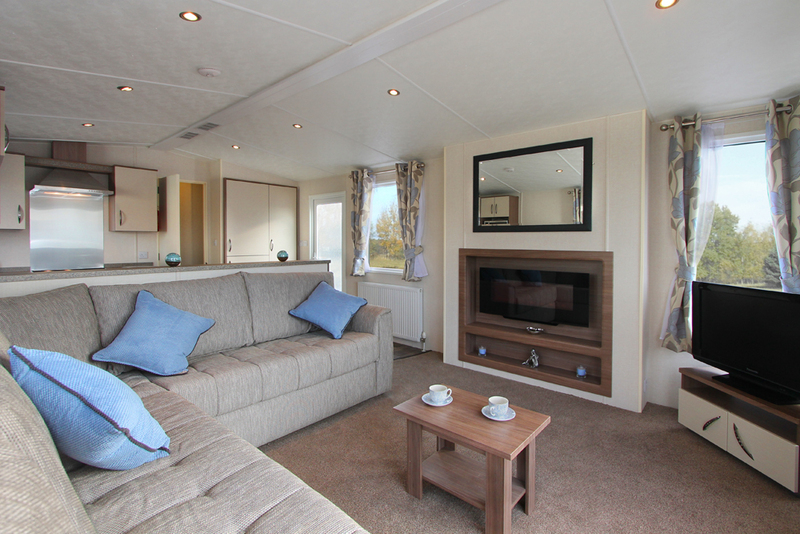 We have four berth and six berth accommodation available. 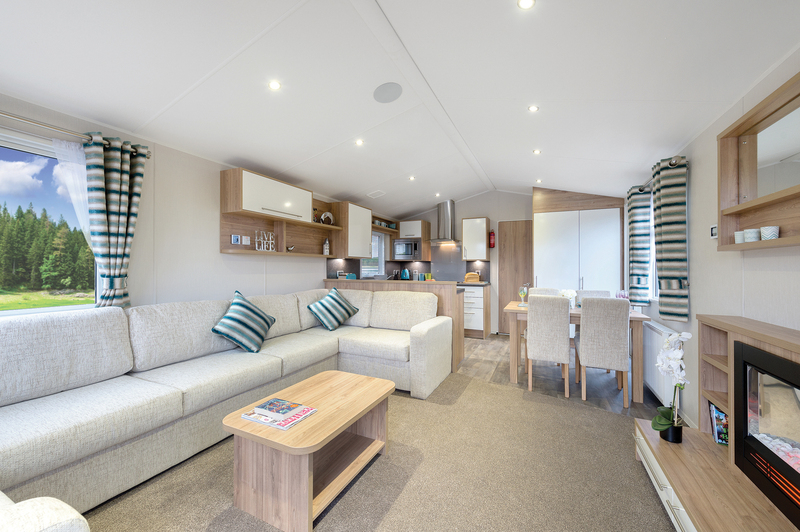 Our six berth caravans sleep six adults comfortably, or offer that extra bit of room for a family with young children in up to three separate bedrooms. Please remember to bring bed sheets and towels for your stay. 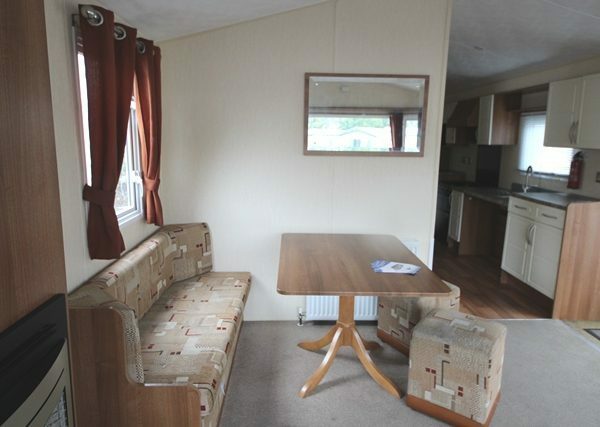 Sorry no pets or smoking in any of our hire caravans. 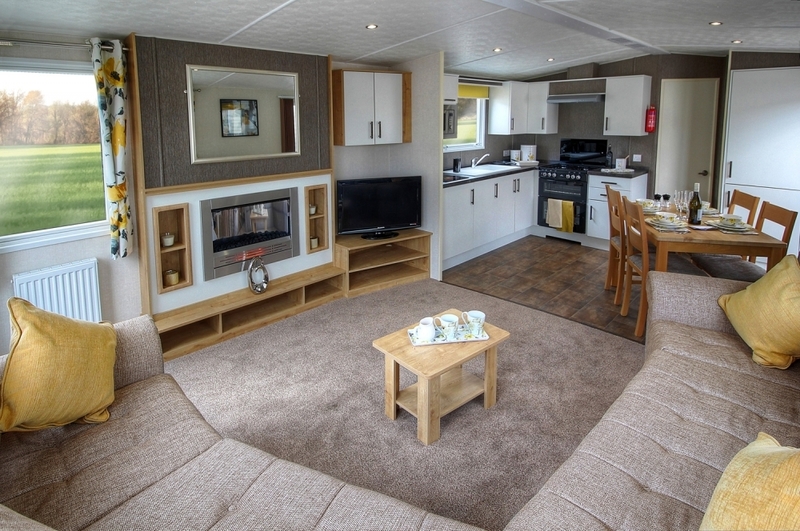 We have a wheelchair accessible holiday home available to hire at Faskally. We are continually updating our hire fleet, click below to see whats new. Sorry no pets allowed in the hire holiday homes or chalets. Do I need to bring anything for our holiday home stay? Aside from yourself and the good weather for the duration of your stay, we ask all guests to bring linen (bed and towels) for their stay. 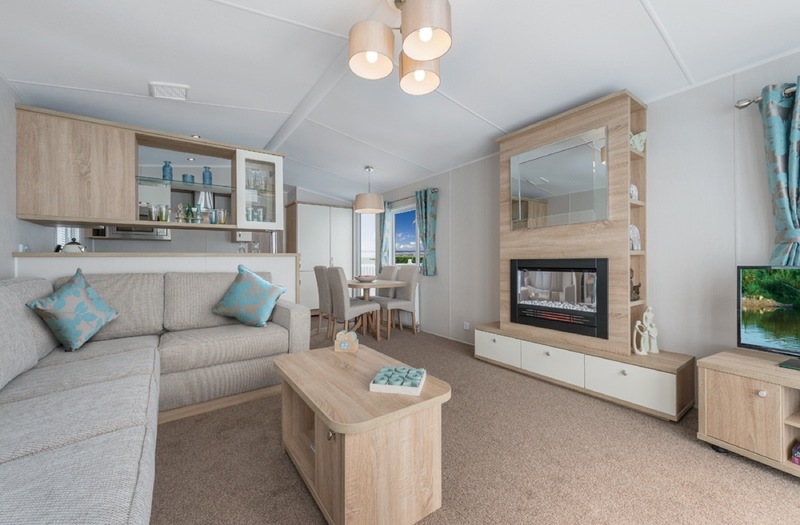 Can you smoke in the holiday homes? Smoking is not permitted in any of the hire caravans. Are travel cots or highchairs provided? We have a limited amount of travel cots and highchairs available, please let us know at the time of booking if these are required. Yes. Each unit has ample space to allow for parking.